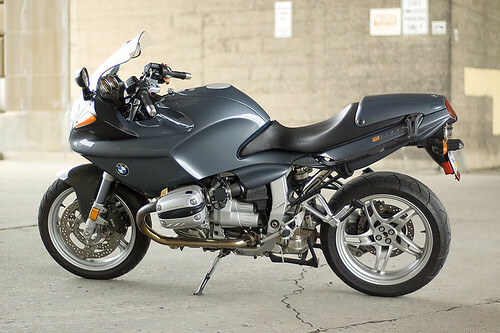 I bought my BMW R1100S as a step up from the BMW F650GS. 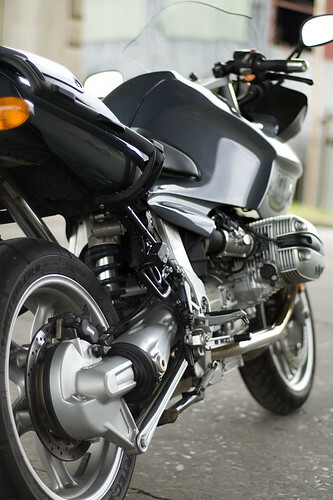 The bike offers much more power and smoothness for touring. 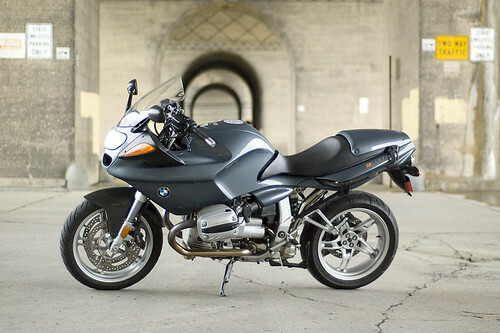 The downside is that even though the bike is considered a “sport-touring” bike, it’s more “sport” than “touring”. 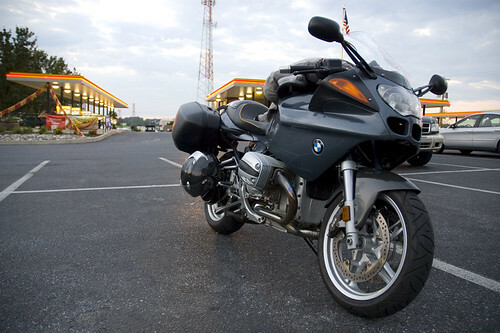 The BMW Finger Lakes Rally is just around the corner and this year I’ll be going 2-up with Erica riding pillion. 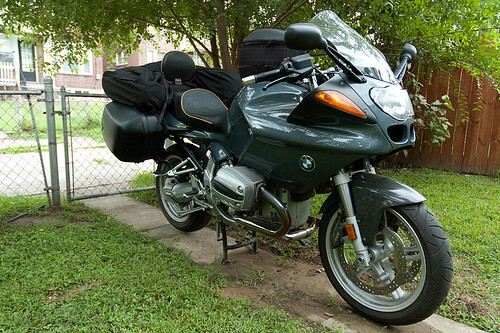 This means packing the bike with gear for two people, three nights, and four days. 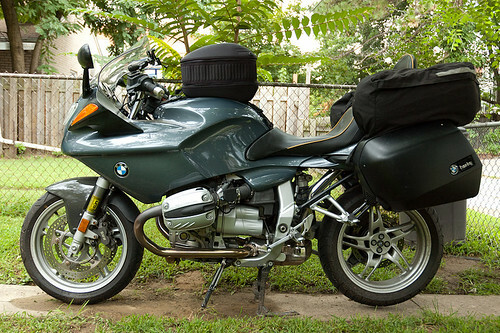 Here I have the R1100S loaded with the BMW tank bag with it’s middle extension zipped in, BMW system cases with touring lids, Corbin seat with back rest, and a U-bag thanks to my friend Norm from the BMW Dutch Country Riders. 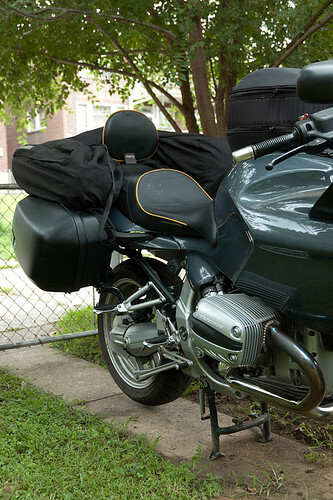 My plan is to store gloves, DSLR, and other quick-to-reach accessories in the tank bag. Erica will have one case for her clothes, rain gear, and essentials, and I will have the other for my gear. The U-bag will hold our tent, sleeping bags, pillows, and hopefully sleeping pads. This has not yet been tested and I think it’s going to be a tight fit with the sleeping pads but we will just have to wait and see. 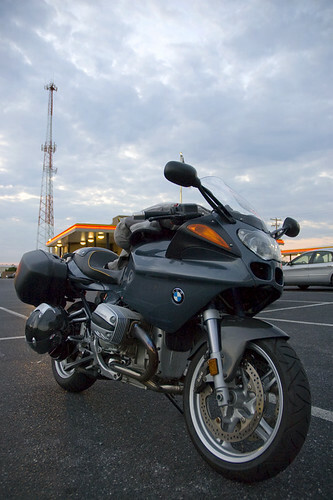 Rode to Ephrata to meet my friend Dan at the Sonic. Sun was setting, and the lighting was beautiful with the neon lighting. Of course as soon as I pick up the new bike we gets days of rain. But Saturday turned out to be ok with being overcast but no real rain. 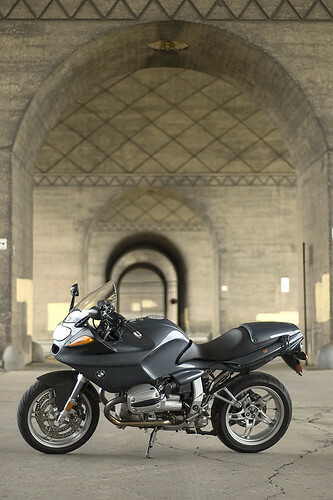 I took that chance to get out for a ride and get some better photos of the new bike. The best place I could think of was the bridge overpass on Cameron street which offers great diffused light. These were shot with the Nikon D70 and Nikon 50mm f/1.8 lens.